Pin this —> Taking care of the mom who takes care of everyone else! The most important thing you can do for your children? Take care of their mother! You’ve heard that if the momma isn’t happy, nobody’s happy. 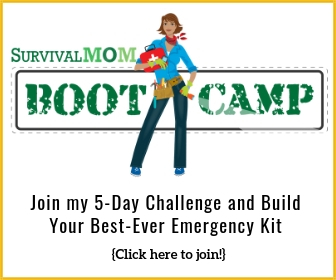 You need to take care of yourself physically, mentally, and spiritually to be at the top of your game so you can be the mom your kids deserve every day—including in times of crisis. 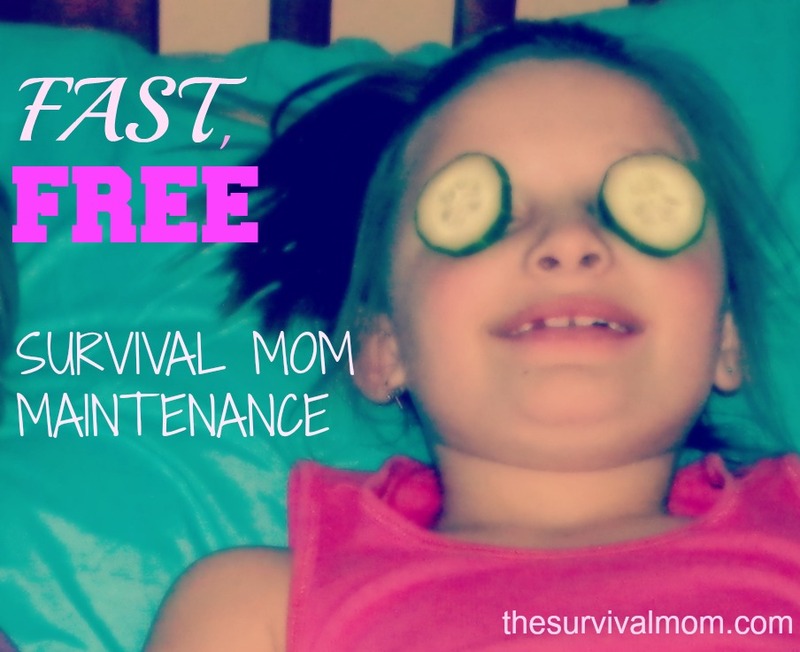 But with both time and money in short supply, what’s a survival mom to do? It’s surprising what fast, free actions can help you be better prepared. If you’re still having aspirin and coffee for breakfast, you need to rethink your routine! You’d never send your kids to face a full day on an empty stomach. You shouldn’t, either. Even if you mix up a quick protein shake the night before and down it in the car, you’re less likely to experience low blood sugar and that irritable, panicky, I’m-late-again tantrum. (‘Cause that’s not just me, right?) You’ve prepared for having to make it home without your car, deal with ugly weather conditions, and countless other unpredictable emergencies. Will you really be able to do it on an empty stomach? Years ago I read a book called You’re Not Sick, You’re Thirsty. It makes for pretty dry reading, no pun intended, but you can glean much from just the summary. While recent research indicates that forcing gallons of water down your gullet isn’t necessarily beneficial, Mother Nature never intended you to drink a 2-liter of soda a day, either. Staying hydrated boosts your energy and helps fill your tummy, too. If you’re one of the handful of women who doesn’t have to diligently watch her waistline, well, I’ll keep my snarky comments to myself. But for the rest of us, water may be our diet’s best friend. You know you’re supposed to exercise at least 3 times a week; it’s not news. But I promised free and QUICK strategies, so try this one! Find 30 seconds in your day—especially when you feel a bit sluggish—to stretch your back, arms, and legs. Touch your toes. Take a deep breath. You’ll feel energized instantly. Statistically, most of us don’t floss our teeth regularly. Your oral health provides a window to your overall health, according to the Mayo Clinic. You probably have imagined a scenario where dental care could be unavailable or unaffordable. A 2-minute date each day with some dollar-store floss seems like a pretty cheap insurance policy. This is beyond free, because you’re actually saving money. And your health, and your kids’ health. If it hits the fan, you’ll have to go cold turkey, anyway, so you might as well get ahead of the game and put that money to better use now. I know, I know, it’s easy for me to say because I’ve never been addicted. So I’ll tell you what I tell my kids: If it’s important to you, you’ll find a way. If not, you’ll find an excuse. Breathing is kind of essential to survival—more than any food stores or silver stash. Give your lungs the priority they deserve. Seriously—your mind and body need rest. Limit your late nights to just a couple a week. The laundry will still be there in the morning, I promise. But if you drive to school groggy, snap at your kids unnecessarily, or slog through your day doing everything at half speed, you’d be better off getting that extra hour of zzz’s. Download a free kindle app. Then, download some free kindle books. Even without a kindle, you can find enough to keep your brain engaged. Read short articles while you’re at the doctor’s office. 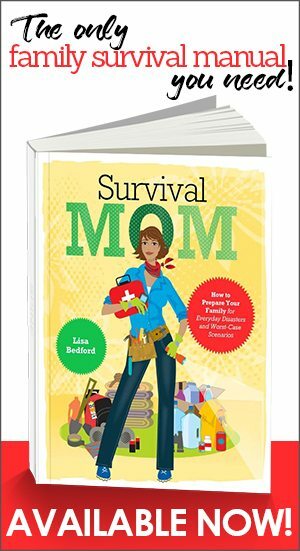 Read The Survival Mom on your lunch break. Read to your kids before bed! Keep that tradition going even when your kids can read on their own. Current research indicates that it’s even good for teenagers! Read a book together (or at least talk about it when you’re both done). If you’re feeling overwhelmed by your lists of things to do/buy/learn before everything hits the fan, make a mental list of all the things you have to celebrate. It’s impossible to wallow in the doom and gloom of internet news when you ‘re picturing the faces of your smiling kiddos or grandkids! Even in the midst of divorce, illness, financial difficulty, or multiple loads of unfolded laundry, you have lots to be thankful for. If you’re not dealing with any of those issues, you know where to start your list. Even if you’re not religious per se, Dr. Nussbaum says daily time in quiet contemplation (maybe making that gratitude list?) has powerful effects on the brain and body. I know it’s tough to find quiet time. Might I suggest the minutes between “snooze” hits on your morning alarm? Works for me. I find I can be very contemplative on Monday mornings. It’s not against the rules. It doesn’t make you a bad mom. It just means you’re human, and you’ve accepted it. That can be really powerful! 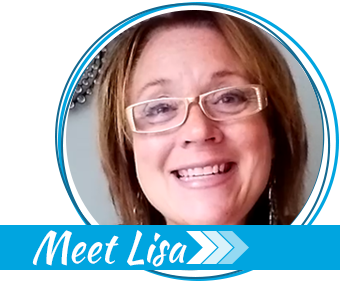 Showing your kids how to take care of simple chores, meal prep, and organization can be empowering for them and liberating for you. And if we’re being honest, go ahead and admit that you don’t ask your husband for help because you hate admitting you need it, not because he won’t do it. Mine started snapping beans with the ballgame on and worked his way up to slap-chopping vegetables with the kids (it’s hilarious to see them all lined up and pounding their way toward homemade salsa!). Now he’s an expert tomato skinner, pear peeler, and taste-tester. Plus we get to spend time together instead of me busy in the kitchen while he does…well, whatever he does out in the workshop. I have found he’ll help with pretty much anything if I ask. But expecting him to notice a sticky hand print and attack it without prompting is unrealistic. I don’t get too worked up about it—especially now that I feel like I’m not doing it all on my own. (Again, that’s not just me, right?) Asking for help will also allow you to make time to exercise, read, and get enough sleep. I bet your husband will agree that you deserve those things! Give yourself permission. You’re too important to your family to neglect yourself. They need your “A” game every day. 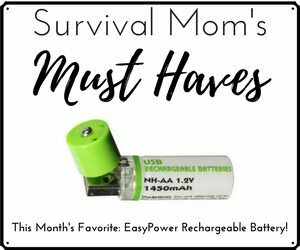 And because you never know when emergencies—major or minor—could require peak physical, mental, and emotional performance, taking care of the mom who takes care of everyone else may be the most important preparation you’ll ever make. I love to read and so does my son so we do that one in spades. Do need to work on the more sleep one though. Not just for Moms & Grandmoms. My kids & grandkids live in other states. My husband and I have been reading and discussing books for over 30 years. And when we visit them we have a great deal to discuss because we read the books that they are reading. It makes you realize that there are all kinds of opinions out there that are good for you to consider.